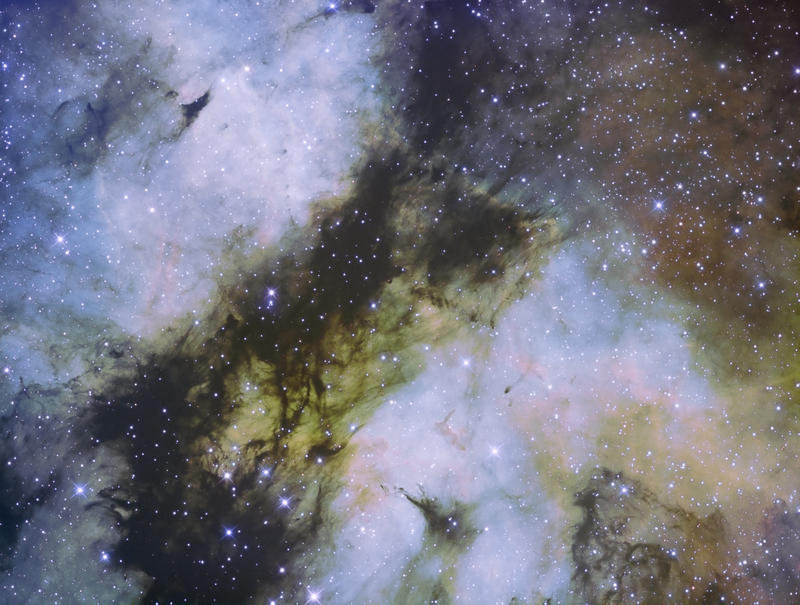 25h exposure in SHO on IC1318 in Cygnus, with its dark nebula. Done with the Skyvision MT250, ASA Wynne and FLI Atlas, ASI1600 for imaging and QHY178 for guiding. Acquisition Prism 10. Processing PI and PS CS6. The color mix isn’t quite SHO. The color mix has been done with the excellent AIPSHO script of Laurent and Philippe. Next Next post: Saint Véran, season 2 !